Highly efficient Digital wave technology. Adjustable Intensity control & Pulse frequency. Wave form: Asymmetrical, bi-phase, square pulse. Packed with features, the dual channel 5-mode digital TENS unit by Drive Medical provides maximum therapy compared to traditional analog machines making it the ultimate in pain management. 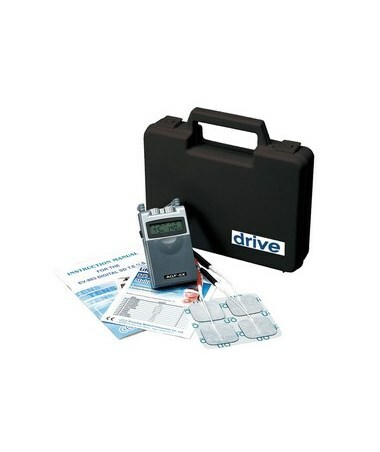 The mild electrical waves are delivered by this portable TENS unit using digital wave technology to provide a high quality signal through the electrodes. Dual isolated channels of this TENS muscle stimulator allow for independent adjustment of each lead wire allowing for various adjustments to ensure proper treatment as instructed by a therapist or doctor. This TENS unit's digital signals can be adjusted to deliver three different wave forms: asymmetrical, bi-phase and square pulse. The modulation selector offers 5 modes of wave delivery: Normal, Burst and 3 Modulation modes. The TENS unit is lightweight, portable and can be attached by a clip. It comes complete with a carrying case, 2 lead wires, a 9-volt battery, 1 package of pre-gelled electrodes and an operating manual. This TENS stimulator is protected by a 3-year limited warranty. Digital wave technology provides a highly efficient delivery of the wave signal. Intensity control is adjustable to 80 mA, 500 ohm load. Pulse frequency adjustable from 0. 5-150 Hz. Pulse width is adjustable from 30-260 micro-seconds. Modulation selector offers 5 modes of wave delivery, Normal, Burst and 3 Modulation modes. 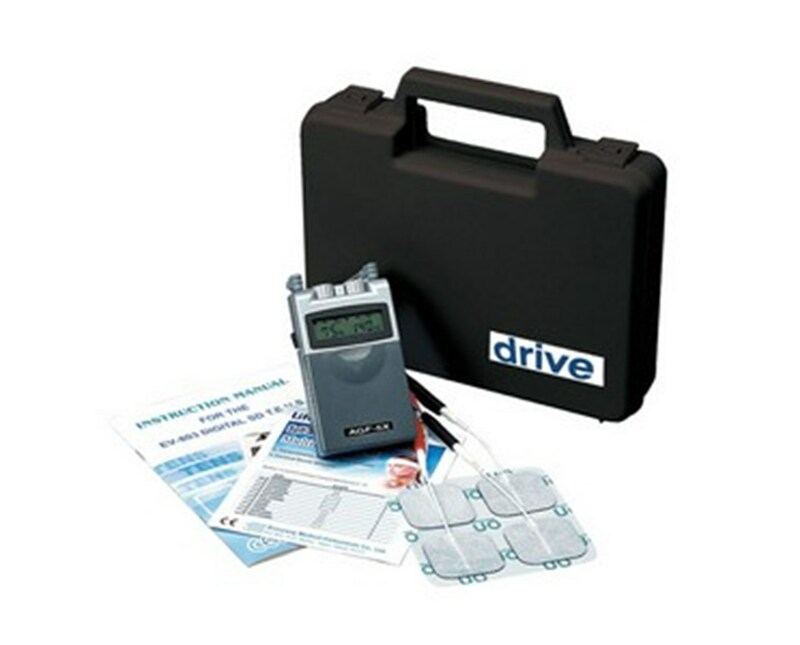 Comes complete with carrying case, 2 lead wires, 9-volt battery, 1 package of 4 pre-gelled electrodes and operating manual. Digital Dual Channel 5 Mode TENS.